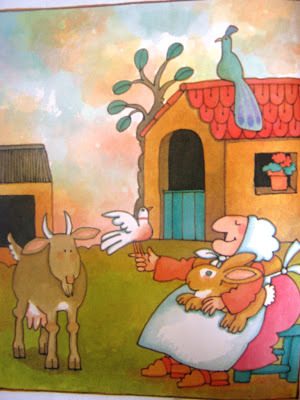 Strega Nona is is a lady in lots of stories. She treats warts, cures headaches, and makes love potions. She lives in a town in Calabria. Big Anthony is a boy who works for her. He keeps getting into trouble. He decided he would use Strega Nona's magic pasta pot. But he got it wrong and flooded the town with pasta. He dressed up as a girl to learn magic from Strega Nona. He borrowed Strega Nona's magic ring to make himself handsome. But then he couldn't get it off. He also flooded the town with bubble bath. 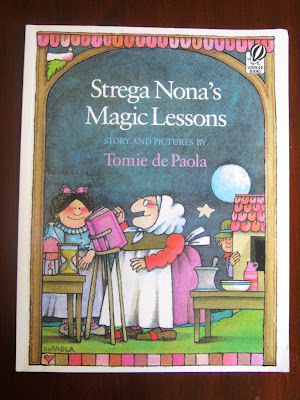 Strega Nona spends lots of time fixing Big Anthony's mistakes. But in one story, Big Anthony he only pretended to have been forgetful. Strega Nona couldn't use her magic at Christmas, and Big Anthony ruined her party. But actually he was planning his own party for Strega Nona. 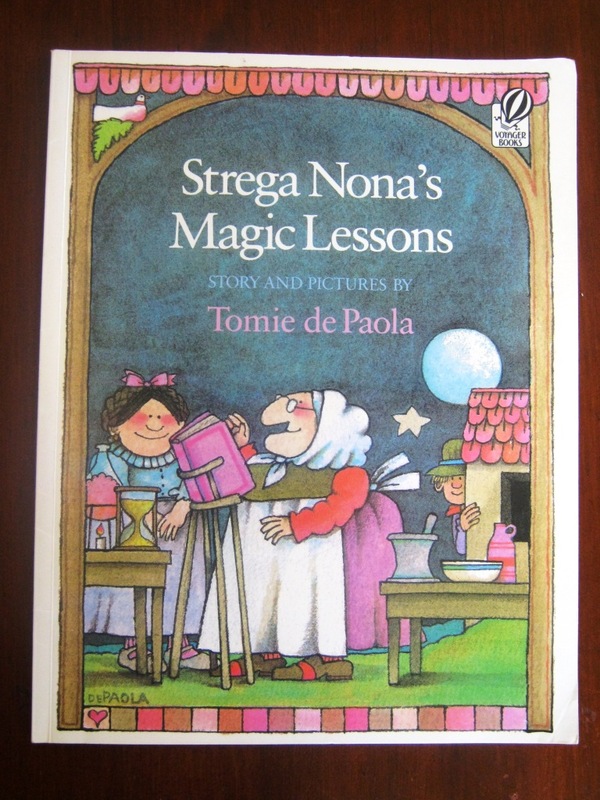 My favourite Strega Nona book is Strega Nona the first book about Strega Nona. 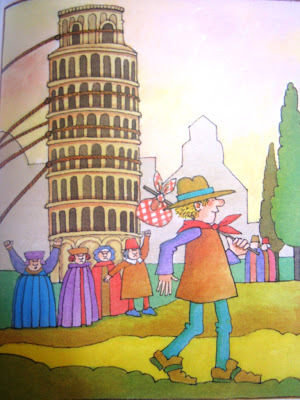 We have seven books about Strega Nona and Big Anthony.